Welcome to 35passengerpartybus.com. If you're looking for exciting transportation for a special event in southeastern Michigan, then you've certainly come to the right place! We specialize in servicing the entire metro Detroit area with top of the line limousines and party buses. We have a wide range of vehicle styles and sizes available, such as our featured 35-40 passenger bus pictured above! The wide range offered in our fleet allows us to provide perfectly tailored transportation services to a variety of events, no matter how many passengers and no matter how far they need to travel. Our 35-40 passenger bus is fully remodeled and has prices starting at at only $175 per hour with tip, tax, and unlimited stops and mileage included in the price. This bus is very large and spacious and offers a freshly remodeled interior and a new paint job on the exterior. Do you like dancing? 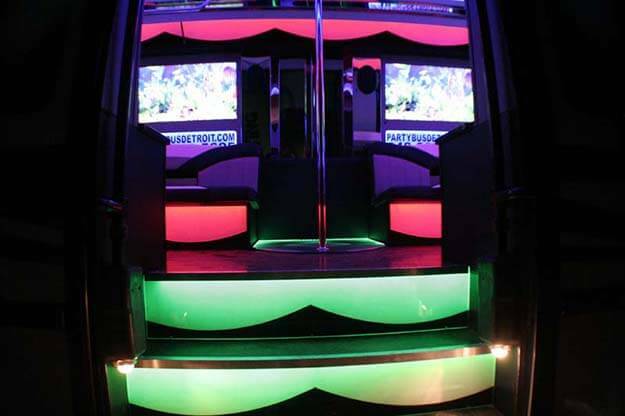 This bus offers gorgeous exotic hardwood floors and wide aisles for dancing, but that's not all! It also features a dance pole and even a dance stage for you while enjoy while blasting your favorite music over the 2500 watt sound system! You can play your music with the included CD player or you can plug in your phone, iPod, or other MP3 players. 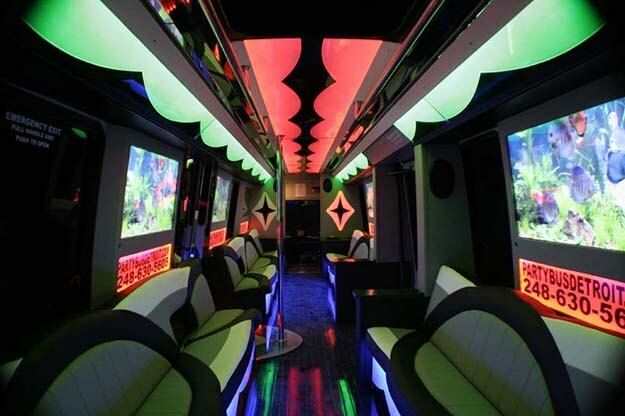 You'll also find that this bus has vibrant color-changing lights on the ceiling, walls, steps, and kick panels which is hooked up to a controller so you can program different light shows. We also have six 42" flat screen TVs with an included DVD player - and yes, it is Blu-Ray capable! With so many TVs inside, you'll have a great view no matter where you're seated! If you don't have a DVD but still want to take advantage of our screens, we can provide a screen saver DVD. For refreshments, this bus has two granite bar tops with built in coolers and two extra coolers built into the seats. We will provide ice, cups, and paper towel at no additional charge, all you have to do is bring your favorite beverages! Keep in mind, all passengers must be of legal drinking age for alcohol to be on board. If you're looking for an exciting luxury vehicle in southeast Michigan, don't hesitate and contact us today! Is 35 passengers a little too much? Don't worry, we have a variety of smaller buses available as well! Try a 30 passenger limo bus or a 20 passenger pink bus for your special event. 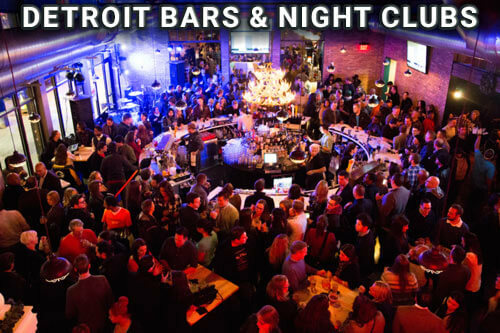 There are so many events always happening around in and around Detroit. 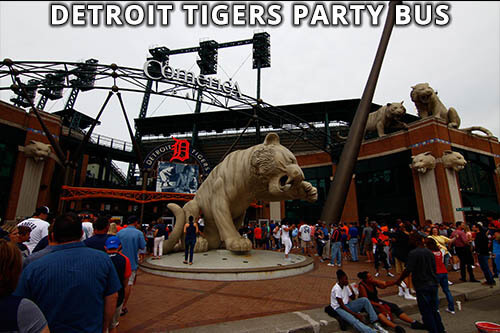 Whether it's your birthday, wedding, bachelor or bachelorette party, bar hopping, or tailgating a Tigers game, you won't find better transportation than what we offer! 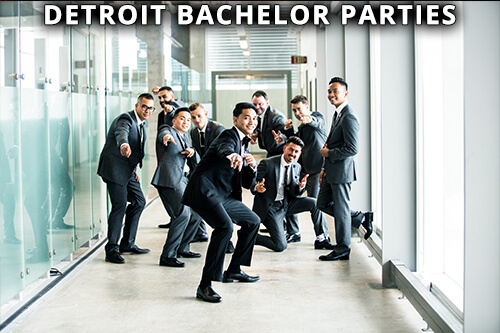 It is our greatest honor to be trusted by Michiganders celebrating any type of event, and we will always work hard to make sure you have a great experience, no matter which of our Detroit limousines or limo buses you choose to rent. We know how important your event is, no matter if it's your wedding or just a casual night out bar hopping with your friends, we'll stop at nothing to make sure everything goes according to plan. When you rent a luxury vehicle, you expect to get your money's worth. A great vehicle that's clean and reliable, a driver that's professional, and service that's prompt and comes without restrictions. That's exactly what you'll get with us. We have a great team who works round the clock to keep our vehicles clean and running great, and drivers that are friendly, professional, and prompt. Our 24 hour operations and vast service area ensure we can take you wherever you need to go, no matter matter how far and no matter the time! We travel across southeastern Michigan and beyond. We take you across Wayne County, Macomb County, Oakland County, Monroe County, Washtenaw County, St. Clair County, and more! No matter where you're headed, let us take you. We provide service for all of the events below and more! Our service extends far across the state, and if you're in another state we're happy to suggestion reputable companies in other regions! 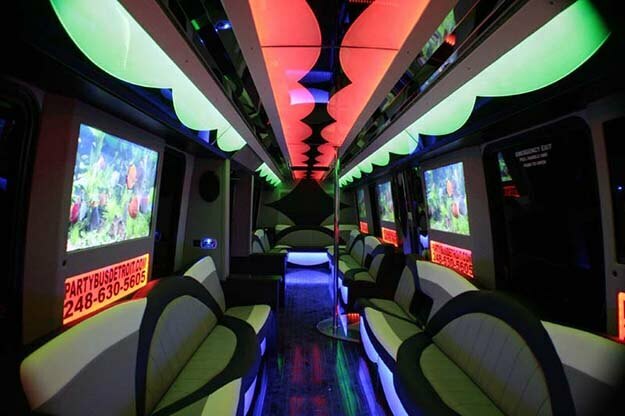 If you're not near the Motor City area but happen to be traveling in the windy city get a Chicago Party Bus from a highly recommended limo company. 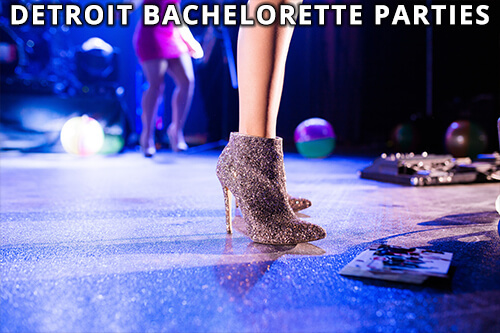 If you're looking for more info on Party Bus Detroit we have that, too. We're available 24 hours per day, so just give us a call if you have any other questions!